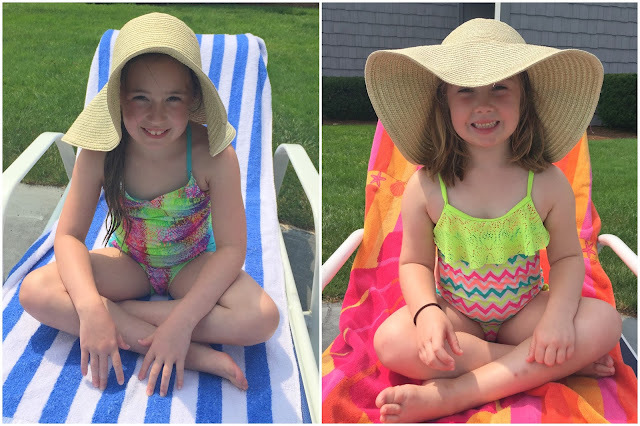 Since I can't actually find the energy to write my Chicago recap post I'll share some of my favorite photos from when I was on the Cape with my nieces last week! If you've been reading my blog for a while you know how much I LOVE jumping photos. 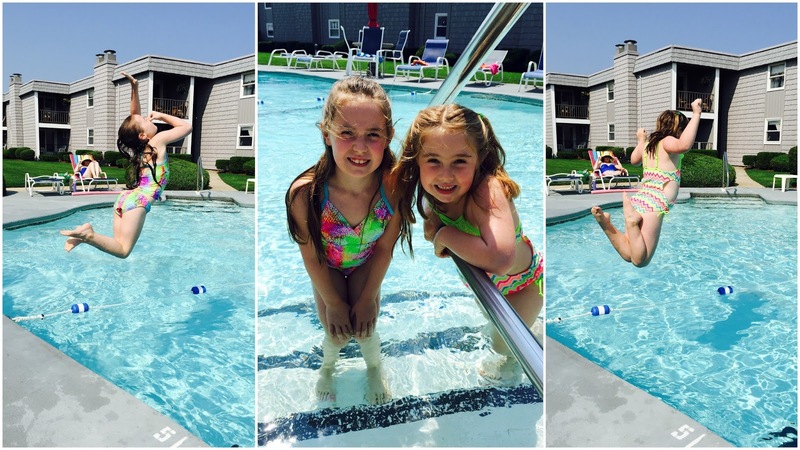 . . well jumping photos with my adorable nieces are even more fun! 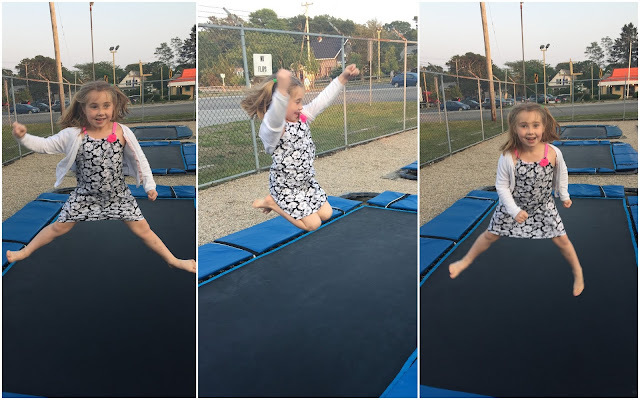 I love the "burst" feature on the iPhone when taking photos b/c it is so fun to see the jumping photos from beginning to end! I love Ella's facial expressions in all of these photos and the fact that she is always turning her head to look at me! Too sweet! And Peyton's form with the arms and head back! Wow looking like a gymnast!! They wanted a chance to do some jumping photos on their own too! I must say they got pretty good at it after a while! This just might have to become an annual beach tradition! See other jumping photos here and here! Happy 4th of July! I'm actually having a pretty lazy day just relaxing (inside) but still on the Cape. 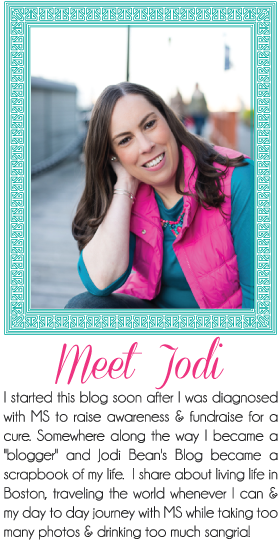 The weather isn't the best today so I'm catching up on some photo editing and blogging while savoring my last days of vacation! It has been a GREAT week and I got to enjoy a couple of days with my nieces here on the Cape too. We had so much fun! Selfies before bed! The girls were pretty wired each night before bed but we had fun reading books and writing poems. Yes they are very into writing cute little "poems" but having quite gotten the concept of rhyming! Ha! This one (above) is by Ella. Do you think they brought enough stuffed animals with them?! On Wed morning we woke up to tornado and thunder storm warnings so had to find something to do! Once the warnings were past and it was ok to go out we went to see Inside Out. They had already seen it once but wanted to see it again and I really wanted to see it. It was so good! I highly recommend it! I love how when they are on the Cape things are so simple. They are exciting by the little things and don't need a lot of toys to have fun. They LOVE playing in the basement and had the best time playing "house." They had a yard sale and made the most out of the "toys" that were down there! Too bad I didn't have my selfie stick with me. My arms just aren't long enough to get all three of us! 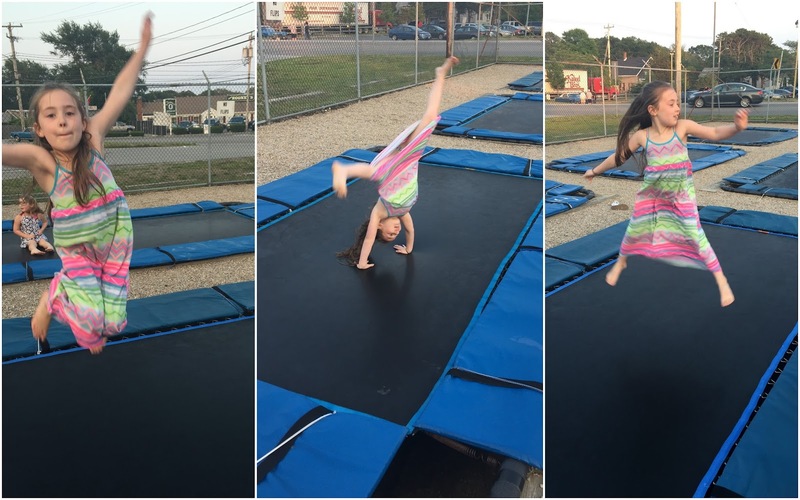 The girls love going to the trampolines and look forward to it every summer. We've been taking them since they were little and Ella could hardly jump! Now they are quite talented and love doing tricks! Oh and my favorite was when Peyton use to call them the "jumpolines!" Would you believe that is a kiddie size?! I can't imagine what a large looks like!!!! The girls love this ice cream place b/c of the wooden train. I love it b/c of the above ice cream cone (birthday cake ice cream is one of my favorites)!! Of course we had to get a photo with their great grandmother "Ma." The rule is serious photo first and then a silly one! It usually works pretty well in order to get a good one! 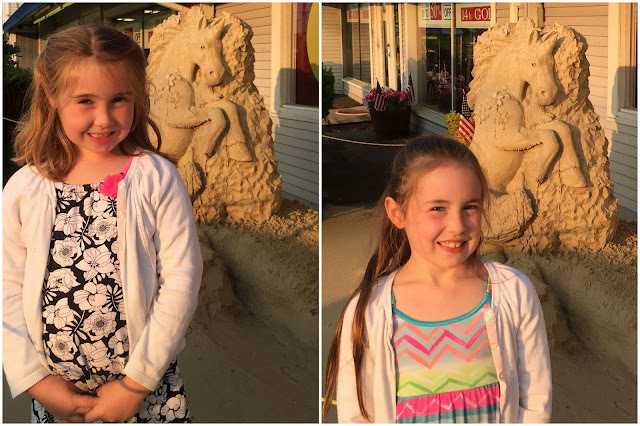 No week on the Cape would be complete without visiting two of my favorite stores. . . Cuffy's and Christmas Tree Shop. I always end up buying things I don't really need but can't pass up b/c the prices are just too good. I got that flip flop bag below at Christmas Tree! I've been reading Wild all week while out at the pool. I'm not that far into it yet and still waiting to get sucked in but I hear it gets better so I'm sticking with it! I'm trying not to get depressed that I have to go back to work on Monday. Vacations are good for the soul. I've been so stress free this week and it is a great feeling! I need to figure out how to make this vacation thing a permanent thing! Ha!